One of the major pitfalls to acting on financial advice given to a general audience is that the advice is…well, general. A perfect example revolves around using a 401k to pay off debt. If a consumer was to read several personal finance books and blogs, they would easily come to the conclusion that you should never use a 401k to pay off credit cards. I disagree with that conclusion and say that sometimes, using retirement funds to get out of debt can make very good sense. Now do I think many of the personal finance bloggers and authors are wrong? No, I agree that in general there are more reasons to not use retirement funds to pay off debts than there are to use them. Never the less, consumers should be aware that there are instances where borrowing from a 401k to pay credit cards can make great sense and if they feel they are in a situation that might call for that, they should seek specific advice for their unique circumstances. Should I borrow from 401K to Pay Credit Cards? This is one of the most common questions among my clients who have money in a 401k. As you can imagine, my answer to that question is, it depends. To help determine whether or not a consumer should be using a 401k to pay off debt, I like to break it down into 2 factors. 1. Financial habits and attitude. We first have to analyze the overall financial situation and determine what caused the consumer to get into debt in the first place. If we do not first identify and correct the habits and circumstances that created this situation, than borrowing from your 401K to pay off your debt would be akin to bailing out a sinking boat without first plugging the leak. No matter how much or how fast you bail, you will eventually sink. Perhaps the consumer needs to take a hard look at their life style and how they have been spending their income. Many consumers have never put together a spending plan and really have no idea where all of their money goes each month. If this lack of financial awareness is not corrected, then the chances are very high that the consumer will simply be back in debt within a few years, but this time, with a much smaller 401k. 2. Financial circumstances and options. Figuring out factor number 2 is actually much easier than factor number 1. It is a breeze to punch numbers, look at interest rates, and lay out all of the options that are financially feasible for a consumer to reach a specific goal, when you compare it to trying to understand their attitude, life style and financial habits. Numbers are numbers and numbers don’t lie. For instance, all else being equal, if you owe $20,000 at 18% interest, would you pay off your debt faster if you could borrow $20,000 from your 401k at 5% interest? The answer is yes you would. I have seen some argue that you lose out on the opportunity cost of the investment when you take money out of your 401k. To that I say yes, but you also gain the fact that your money is not at risk either. I bet there are a lot of people who borrowed money from their 401k in 2007 that were awfully glad they did by the time 2009 came around because that $20k in 2007 would have only been about $10k in 2009. However, likewise if you borrowed from your 401k in 2009 you potentially missed out on some great growth to the present. The point is that nobody can predict the stock market and it is true that maybe you lose out on growth and maybe you gain by not taking a big loss. It is something to consider for sure, but borrowing from your 401k doesn’t always mean you will lose out on growth. I might ruffle some feathers with this one, but I would advance the argument that all else being equal, odds are, you have a bigger chance at coming out ahead overall if you borrow the money from the 401k than if you don’t. Let’s use the $20k example. I am going to simplify this and only use 1 year simply to explain the concept of why the numbers say to borrow. Option 1 – Do not borrow from the 401k to pay credit cards. a. Stock market goes up 10%. 1. You earn $2,000 on your investment. 3. Total loss is $1,600. b. Stock market goes down 10%. 1. You lose $2,000 on your investment. 3. Total loss is $5,600. Option 2 – using the 401k to pay off debt. 1. You earn $0.00 on your investment. 3. Total loss is $0.00. 1. You lose $0.00 on your investment. Now looking at those numbers, I would say borrowing is the least expensive way to go unless the stock market gains more than 18%. Keep in mind that the opportunity cost of not borrowing the money means that you are still paying 18% interest. So when evaluating whether or not to borrow money, the odds are that your 401k is not going to return 18% plus gains year over year and the numbers are saying to borrow if you have already explored and exhausted other potential options. So you are saying that I should borrow from my 401k to pay credit cards? No, what I am saying is that there are a lot of factors to consider and whether or not you should be using a 401k to pay off debt depends on your specific circumstances. In some cases it makes a great deal of financial sense to borrow from your 401k, assuming you have identified and corrected the attitudes and habits that put you in a financial situation to have to even consider borrowing from your 401k to pay off your credit cards. I believe this is not advisable to anyone at all. Personally, it’ll just generate extra financial setbacks when you can’t manage the terms. Thanks for taking the time to comment, however I certainly disagree with your conclusion that borrowing from a 401k is not advisable for anyone. For the reasons explained in the article, and others, it can actually be a very viable strategy for individuals in the right circumstances. However, I do agree with you, that in some cases, borrowing from the 401k could actually make a financial situation worse. As I see it, the risk comes if/when you lose your job. The loan becomes due within weeks of separation, and if not paid back, is considered distributed, tax and 10% penalty due. Congress needs to offer a workaround to this, a way to put the loan on hold while unemployed, and transfer the 401(k) along with the loan when at a new company. I see GenX had a post about that in your roundup. If you do have a circumstance that requires you to default on the loan than it will become due and payable. That would be a circumstance to consider for sure when deciding whether or not to take out a loan. Of course if you are in a situation where you are already behind on your debts and they are demanding payment in full anyway, and then you receive an offer in the mail for a 35% settlement if you can pay in a lump sum. It might be prudent to tap the 401k and even if you later find you cannot pay it back, the 10% penalty added to the 35% settlement is still less than paying the debt in full plus interest. Of course then you also have to talk about potential tax implications on the forgiven debt if you are solvent etc. There are many points that need to be reviewed and thought through on a case by case basis when deciding to tap into a retirement account. I like your idea of a workaround solution to transfer the 401k, rather than essentially kicking someone while they are down. Congrats you lose your job, and oh by the way, that 20K you borrowed last year is due in 60 days, will that be cash or check? Certainly not something most people that lose their job can deal with. Thanks for taking the time to comment on the article Joe. Do you accept submissions for your roundups, or are they just posts that you pull out from the blogosphere from the week? In your opinion, what would have to be the minimum disparity number between your debt rate and 401 rate to consider touching the 401, using your $20K example above (even though the difference was all the way up to 13% in the scenario you used)? Great question. The answer of course would be it absolutely depends on the clients situation. Usually a consumer who is considering tapping into a 401k is in a pretty drastic situation with limited options. If you strip all that away and we are just talking about straight interest rates we have to look at a few things. First, likely the reason the consumer is looking for help, is because they are struggling with monthly payments. Keep in mind that most 401k loans are for 5 years or less. So all else being equal if your rate on your CC is the same as your rate on the 401k loan, your payments to the 401k will actually be larger than what you are currently paying. So there really is no set rule that I can point to and say, well, if the rate on your 401k is at least 5% lower than do it. You just have to look at the situation as a whole. Identify why the money needs to be borrowed in the first place. Analyze what the specific risks are from taking the loan and whether or not getting the loan will actually fully address the situation. For instance, if someone has cut their budget to the bone and still has a 300 dollar a month cash flow deficit every month, than taking a 401k loan to drop your interest rate from say 15% to say 5% on a loan that is amortized over a smaller period will likely not provide the needed relief even though 10% seems like a big savings. As Joe pointed out in the comment above, you don’t want to take out a loan from your 401k if it is questionable that you could even pay it back. In most cases it is much better to default on an unsecured credit card than it is on a 401k loan. So the best way to answer your question is to say that there is no set number, and each situation must be looked at individually to determine whether or not the move makes sense for that specific consumer. You make a great case. On one hand, the power of compounding interest is immense and removing money from a retirement account will affect how quickly money accrues over time. On the other hand, the interest paid on debt can be overbearing and may warrant and early distribution. Yes, I was in this situation a few years back and it helped me greatly. As long as you don’t charge the cards back up you will be fine. I looked at it this way. If I currently pay 20% or more on my cards, it would take me 10 times the balance to pay them off. Where as if I invest the amount I owe into my 401K, I would be paying around 9 times less to get back to zero and have my 401K replenished. While I agree in principle, typically you would not pay 10 times the original balance back to the cards. It could certainly be a high dollar amount but 10 times is a stretch. Overall, if all else is equal, borrowing the money from your 401 at about 5% to pay off cards that are charging you 20% is going to be a much faster and less expensive way out of debt. My dad is considering borrowing from his 401k. I was dead set against it but you brought up some interesting points. It’s nice to see an alternative take on it. (I really liked your scenarios.) Some of the get-out-of-debt gurus don’t seem to understand that there are exceptions to their rules. Yes, there are always exceptions to the rules, and that is the problem with acting on general advice. Basically if we think “hmmm i guess i can afford to do that”, then we probably cant ! Me and my wife have learned that lesson with our latest car loan. Come to think of it – it true! We don’t think about buying a gum in the store – we just buy it. We don’t think about buying bread every day. So anyone willing to perform a reality check – try to look at yourself and how your thoughts and feelings changes. I agree with what Travis Vayssie. I experience the same situation and I never really have any regret having a loan with 401k. You just have to think twice and balance you option. I am glad things worked out positively for you. Credits cards are a complete scam. I’ve never owned a credit card and never will. To people who use credit cards, here’s a radical thought for you: pay for things with money you actually HAVE. Well, I don’t think credit cards are a scam. Sure they make credit easily available and people can go overboard, but if used correctly, they can be a great financial tool. However like anything else, if they are not used correctly, they can get you into a big financial bind. Credit cards can offer great protection for online purchases as well as protection from identity theft. Airline miles and other rewards certainly help many families out as well. From my point of view, borrowing from 401k shows the lack of financial discipline. In my country (Ukraine) 99% of people don’t have 401k-like pension plans or life insurance options. They just don’t believe in long-term financial tools. But the majority of citizens don’t make a debts, like credit cards debt or mortgage debt. Sometimes I tell to my friends: hey, you should think about your retirement, put your money to 401k-like found or life insurance option. And they answer: man, look at US, EU! US debt ceiling, EU debt crisis… they make crisis after crisis, because people in US and EU make great debts. Why should we save money, if the next crisis will destroy not only Ukrainian financial system, but the world financial system! So, I agree, that borrowing and debt is not good not only for personal finance and personal 401k plan, but is very bad for world financial system. It’s a kind of pyramid, that put on it’s top, not bottom. This reverse pyramid of debt can fall down and make great troubles for all people. Sorry for my English, I’m just begun to study it. I agree that the leaders of various industrialized nations are helping to create the problem of bad financial habits amongst the population. People are taking on the attitude of why should we worry because the government will just bail us out. Look what they did with unemployment, the housing market etc. They are creating an entitlement culture that is severely lacking in personal responsibility. Personally, I would rather owe money to myself than to the bank, so I would go with the suggestion and pay the credit cards with 401k. I’m a disciplined spender, and on the long run, I can earn again the money that I have already used to pay the credit cards. Yes, you have to look at good advice as a service. If you can pay an expert 100 dollars and they can give you some information to save or earn you 1,000 dollars, I would certainly say that paying that adviser was a great investment. Debt is always a personal issue and as such personal advice should be sort. I think that anyone relying on general advice posted on blogs need to back this is up with professional advice. I totally agree with your comments that sometimes it makes sense to go against the general thinking. Yes, blogs are great for sharing and discussing ideas, but to make major financial decisions based on random online advice without speaking with a knowledgeable professional first could really cause some problems. The conventional wisdom of course is to never dip into your 401k at any costs. But, these are desperate times for some people and may call for temporary desperate measures. Keeping your 401k in tact while you’re jobless, into foreclosure and up to your neck in credit card debt and feeling more boxed in by the minute doesn’t make sense to me. I agree completely. When the downside of not borrowing the money out weighs the downside of borrowing the money, a consumer should really explore the option. Thanks for all the helpful comments. My question is how about using your IRA outright instead of taking a loan on the IRA to pay off credit card debt? Then you start building it up again. Does it have to be a loan? Yeah, there are many risks while borrowing from 401k to pay credit cards so I’ll suggest to everyone not to borrow it.I really loved reading your blog. It was very well authored and easy to understand. Good article, Damon. Dipping into the 401k isn’t a one-size-fits-all strategy but I think if it’s done with a new solid commitment to credit discipline, it can work wonders. BTW, I like the video you made in the right column. WINNING! I had fun making that little cartoon video and I certainly know consumers can relate if they have spent any time trying to find unbiased advice about how to resolve their debts. Talk about one size fits all. 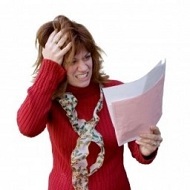 Most debt relief programs give the exact same pitch to every consumer who calls. How can that possibly help most of the people calling in? I wonder how this impacts the numbers you’re talking about. Any help would be greatly appreciated! You are correct that you are paying a loan with after tax dollars, that will then be taxed again upon withdrawal. However, it is a moot issue because the goal here is to pay down the credit cards. The money that you would use to pay off the credit cards would be the same after tax money regardless of whether or not you got the loan.